Hosting an at-home wedding is a great way for a bride on a budget to save money on her big day while still having her dream wedding. Renting out your property for backyard weddings is also a great way for homeowners to generate income while helping couples create a special day their guests will never forget. Whether your daughter just asked if you can host her wedding reception in your backyard, or you are considering renting out a particular area of your property to couples in search of a unique venue for their ceremony, there are plenty of things to consider before taking on this fun but challenging venture. Of course, it is much simpler to clean up your yard for a one-time event than it is to create a destination that will appeal to couples and generate regular income, but either situation is a possibility – even if your backyard is small or currently lacking landscaping. 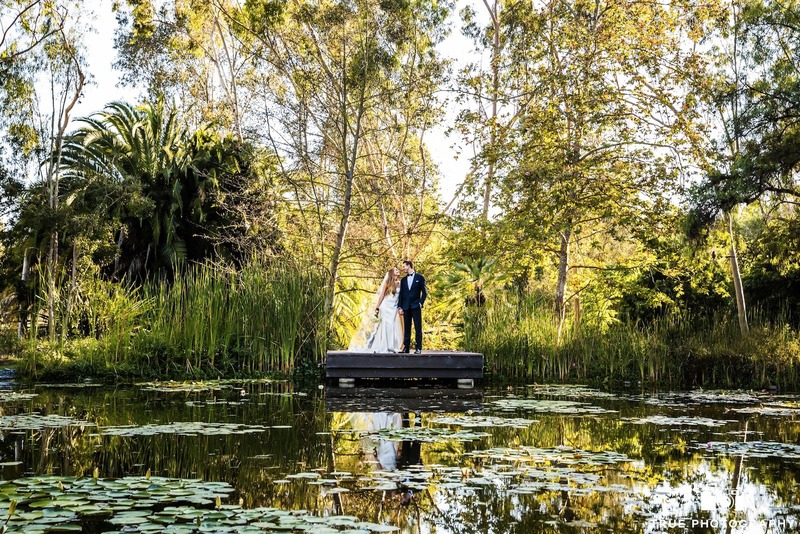 After all, a small venue makes for a more intimate setting for a couple to celebrate their special day with their family and closest friends, and a yard without landscaping is a blank canvas just waiting for someone to transform it into a welcoming oasis. Read on for simple tips and ideas that will help you create the perfect venue for a one-time affair or ongoing, supplemental income for your family. Before you start advertising your space for rent or you promise your nephew to provide the perfect place for his reception, make sure you are prepared to take on this challenge. 1. Is nearby guest parking available on your property, on the street or in a nearby parking lot from which shuttle service can be provided? 2. Is there bathroom access for guests? This may include allowing guests to use one or more bathrooms in your home or outdoor space for rented restrooms. 3. If you have a natural grass lawn that will be part of the space used, are you prepared for it to be trampled by guests or for a dance floor left on the grass a little too long to kill parts of it? 4. Are there local noise ordinances or zoning issues that could pose a problem with hosting a one-time event or making this an ongoing business? 5. Are your neighbors close enough to hear the loud music and late-night festivities? If so, are they cool enough to put up with it without complaining to the authorities? 6. Can your outdoor living spaces hold enough guests to make your yard an appealing option? 7. Do you feel confident that your insurance policies will cover property damage or injuries that may occur during the event? 8. Are you prepared for guests to wander through your home on their way to the bathroom or your backyard – potentially breaking, stealing or handling family heirlooms and personal belongings? 9. Can you commit the time and money it will take to prepare your yard for the event and clean up after the festivities? 10. Do you have a separate space where your children or pets can be during the event so that they are not heard by or mingling with the guests? 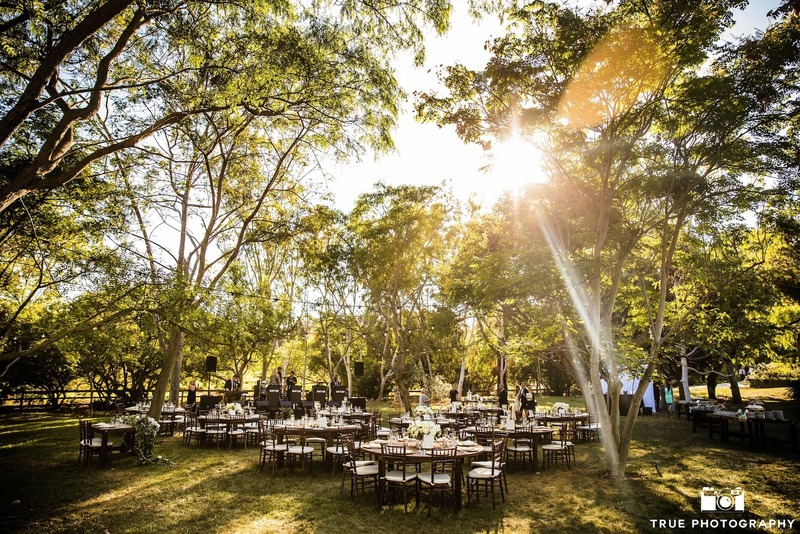 If you have answered these 10 questions and have come to the conclusion that a backyard wedding venue is a viable option for you, read on for tips that can help you transform your yard into a beautiful, inviting outdoor space perfect for celebrating special occasions. Before you hang the paper lanterns and set up folding chairs, you need to do the groundwork required to build a foundation and atmosphere that is safe, welcoming and attractive. The first step in accomplishing this is determining which hardscape and ground cover options will work best for your space. Not only do you need a great outdoor space for entertaining, you also need a way for guests to get to that space. Preferably, this will not require guests to walk through your home to reach the venue. A paving stone walkway that leads from the parking or shuttle drop-off area is an ideal option that provides a beautiful entrance through which guests will arrive. If there is room, you can line this walkway with low-maintenance native plants, decorative gravel or perennials that will add color to the pathway. Next, you will need to determine a ground cover option for the main outdoor entertaining space. This may include hardscape features, such as an expansive patio that can be used for guest seating, serving food or a dance floor. If so, a paving stone patio is a good choice, which will beautify the area, provide a slip-resistant surface for guests and can even increase the value of your home. If you already have a concrete patio or another functional but less attractive option, you may want to consider investing in outdoor rugs, which can bring color to the space and increase visual interest. 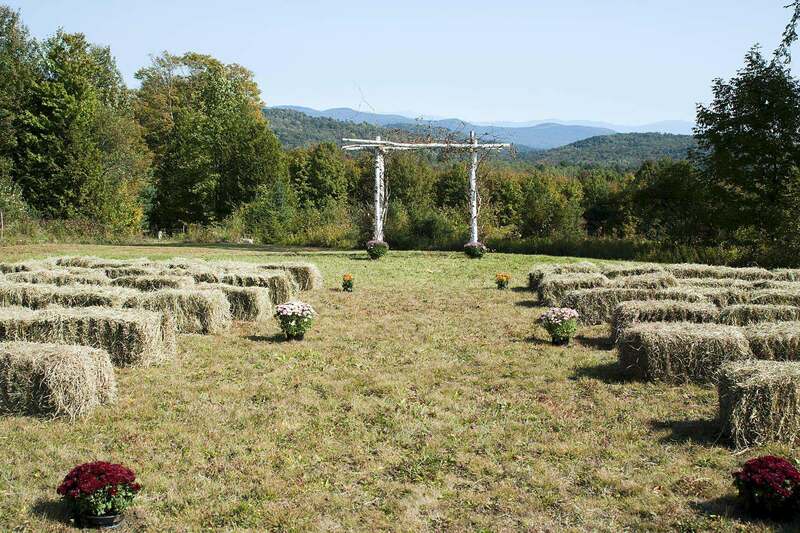 Many outdoor event venues have a grassy area where couples can exchange vows or guests can mingle during the reception. 1. Mow your lawn so that it is short enough for guests to easily walk on it. 2. Fill holes and remove clumpy areas to reduce tripping hazards. 3. Do not water your lawn for a few days before the event so that the area will be dry. 4. Do not fertilize your lawn, use herbicides or apply pesticides in the days leading up to the event. Take care of these tasks at least a few weeks before the special day to avoid exposing guests to chemicals. 5. Keep your dogs off of the grass for at least a few weeks before the event to limit brown spots and allow current brown spots to grow in green. 6. Consider reseeding your lawn a few weeks before the event to fill in bare patches and create a lush look. A one-time event should not destroy your natural grass lawn beyond repair, but if you plan to regularly host weddings or other events in your backyard, you may want to consider installing an artificial turf lawn. Synthetic grass always looks lush and green, which provides a beautiful space for entertaining guests. It is also a low-maintenance landscaping option that requires no weeding, edging, mowing, watering, aerating, pesticides or herbicides. Owners of outdoor event venues that use artificial grass benefit from lower maintenance requirements and lower ongoing maintenance costs, which makes this an appealing option for those who plan to use one or more of the outdoor living spaces on their property for outdoor event rental income. Hiring a landscape designer that can help you turn your ideas into reality and design a beautiful area for celebrations is the best way to create a venue for a one-time event or an ongoing rental space. A professional designer can create exterior spaces that can serve multiple purposes, such as providing attractive entertaining areas that can also be used as comfortable outdoor living spaces for your family when not in use for special events. 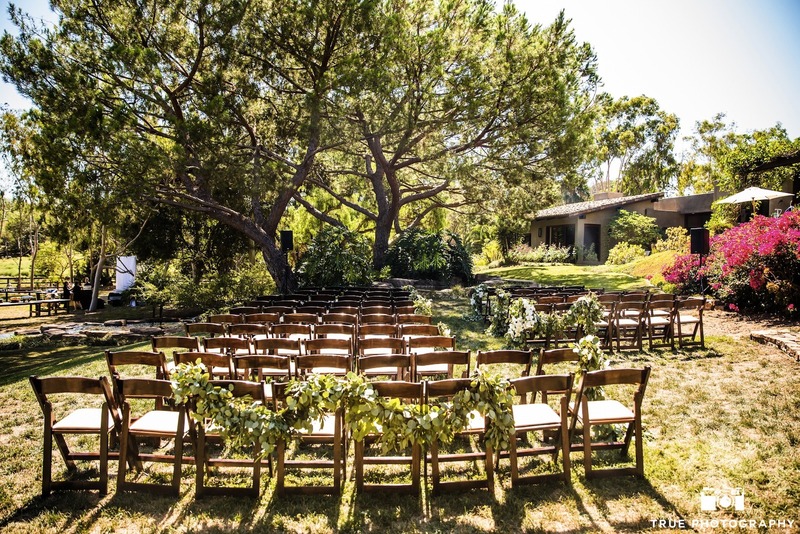 They can help you turn your dreams of a beautiful backyard into a reality and have the know-how to design a space that will appeal to couples looking for a unique space in which to hold their ceremony or reception. However, you do not have to hire a professional to create a backyard oasis that is perfect for both everyday outdoor living and entertaining. 1. Keep in mind that plants need time to mature and flowers need time to bloom, so implement your landscape design well before the date of the event. 2. To save time, money and headaches, work with what is already there. If you have a great tree, a water feature or just some pretty cool plants, try to incorporate them into your design or make them a focal point that will add visual interest to your yard. 3. Maximize small spaces by prioritizing necessities, avoiding unnecessary features that take up room and separating your outdoor entertaining spaces into areas that flow together but can be used for different purposes. 4. 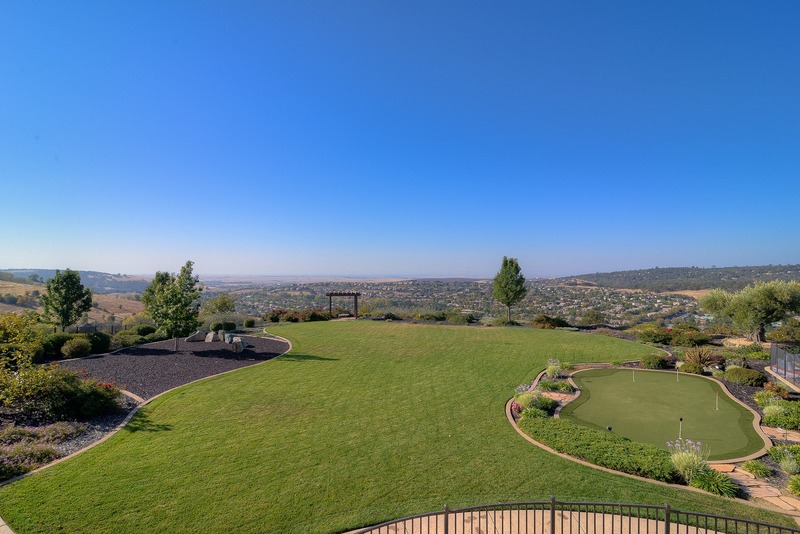 If you happen to have a great view somewhere on your property, take full advantage of it by making it a focal point or creating an area where photographs can be taken with the view as the backdrop. 5. Consider installing a white garden to beautify the space without bringing in too many different colors. A tasteful garden that focuses on white flowers and green foliage will work with any couple’s wedding colors and theme, and white is a traditional wedding color. 6. If you plan on frequently using the space for events and portable bathrooms will regularly be placed in your yard, consider installing a gravel area dedicated for this purpose. 7. Even in Southern California, mornings and evenings can be quite chilly, so consider installing an outdoor fireplace or a fire pit to help keep guests warm. 8. If your budget allows, consider installing a full outdoor kitchen, which can significantly broaden the appeal of your space for potential renters. 9. Implement natural pest control measures to keep guests comfortable, such as planting sage, rosemary or basil. 10. Make sure you leave plenty of open space for guest seating or mingling by not overdoing it on landscaping features that take up a lot of room in your yard. 11. Consider using native plant species and ground covers that require little or no water to save on ongoing maintenance costs. Keep in mind that it is not just your backyard that guests will see. When they arrive at your home, your front yard is the first thing they will see and should provide an inviting, appealing first impression. 1. Enhance the look of your sidewalk easement with a sidewalk garden or decorative gravel. 2. Make sure your yard and porch are clear of debris and toys. 3. Make sure walkways are well lit and clear of debris and low-hanging branches. 4. Ensure guests can easily find the event location by prominently displaying your address. 5. Enhance the look of your front porch with hanging flowerpots, attractive seating or a few well-placed containers overflowing with flowers. Weddings taking place at private homes are a growing trend, particularly with many couples looking for ways to save money or for something a bit more personalized or unique than a traditional church ceremony. 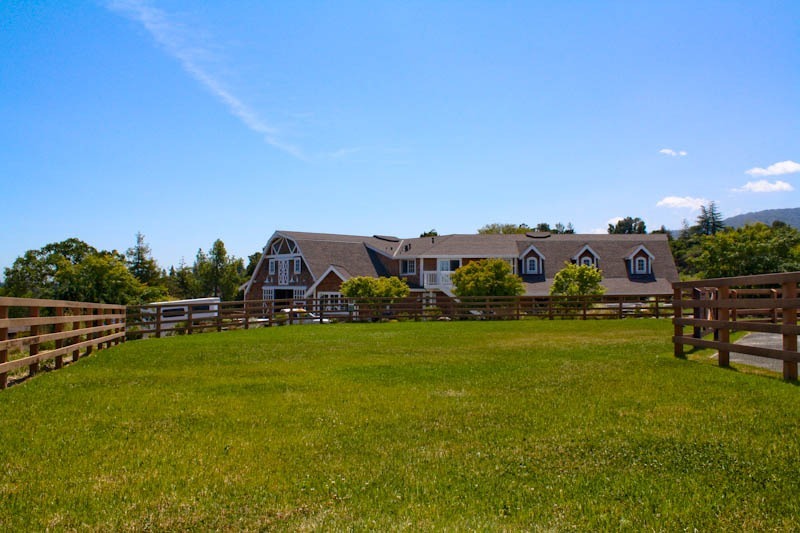 With the growing popularity of destination weddings, many couples are also looking for attractive venues where they can host their receptions once they return home after getting married. This has created the opportunity for a cottage industry through which homeowners can supplement their income by renting their outdoor entertaining spaces. If you do plan to make this a business, check with your local governing body to make sure you are in compliance with any local ordinances or licensing requirements. You will also want to build relationships with local vendors, such as caterers, party rental companies, wedding officiates, florists and deejays so that you can refer business to each other and be able to assist your clients in making the connections they need for successful party planning. Did you have a backyard wedding? If so, how did you create the perfect venue for your special day? Photo Credits (in order of appearance): venuelust.com morgueFile, earl53; morgueFile, Penywise; author, morgueFile, earl53; author. What Is Geotextile Fabric And Should It Be Included In Your Paver Installation?